One detail that is missing in Integral Relationships: A Manual for Men are the three Instinctual Variants in the Enneagram. You can do a test at www.enneagraminstitute.com/ivq.asp#.UXVre7Wsh8E what variant you are. Some relationship experts maintain that couples with different Instinctual Variants don’t get along very well or not at all. That may be true if they are in 1st tier consciousness. 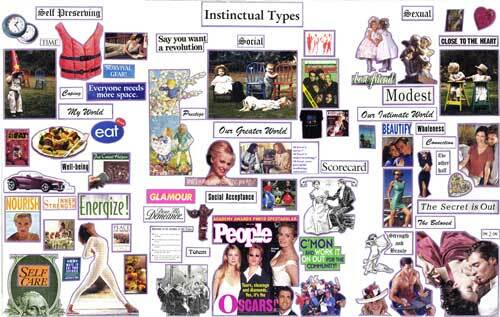 However, integrally informed couples can create synergy between each other by putting their differing Instinctual Variants in the service of their shared relationship vision or higher purpose that is larger than either individual. Below is a brief description from www.enneagraminstitute.com. The focus here is easy to understand from the name. People of this Instinctual type are preoccupied with basic survival needs as they translate in our contemporary society. Thus, Self-Preservation types are concerned with money, food, housing, health, physical safety and comfort. Being safe and physically comfortable are priorities. These people are quick to notice any problems in a room such as poor lighting or uncomfortable chairs, or to be dissatisfied with the room temperature. They often have issues connected with food and drink, either overdoing it or having strict dietary requirements. In the healthy to average Levels, of the three Instinctual types, they are the most practical in the sense of taking care of basic life necessities—paying bills, maintaining the home and workplace, acquiring useful skills, and so forth. When these types deteriorate, they tend to distort the instinct to the degree that they are poor at taking care of themselves. Unhealthy Self-Preservation types eat and sleep poorly or become obsessed with health issues. They often have difficulty handling money and may act out in deliberately self-destructive ways. In a nutshell, Self-Preservation types are focused on enhancing their personal security and physical comfort. This subtype is focused on their interactions with other people and with the sense of value or esteem they derive from their participation in collective activities. These include work, family, hobbies, clubs—basically any arena in which Social types can interact with others for some shared purpose. Within that social instinct, however, are many other implicit imperatives, and primary among them is the understanding of “place” within a hierarchical social structure. This is as true for dogs and gorillas as it is for human beings. Thus, the desire for attention, recognition, honor, success, fame, leadership, appreciation, and the safety of belonging can all be seen as manifestations of the Social instinct. Social types like to know what is going on around them, and want to make some kind of contribution to the human enterprise. There is often an interest in the events and activities of one’s own culture, or sometimes, of another culture. In general, Social types enjoy interacting with people, but they avoid intimacy. In their imbalanced, unhealthy forms, these types can become profoundly antisocial, detesting people and resenting their society, or having poorly developed social skills. In a nutshell, Social types are focused on interacting with people in ways that will build their personal value, their sense of accomplishment, and their security of “place” with others. If you don’t know your own and your partners Instinctual Variant then I strongly suggest that you do the test atwww.enneagraminstitute.com/ivq.asp#.UXVre7Wsh8E and make them a part of your Kosmic Address.